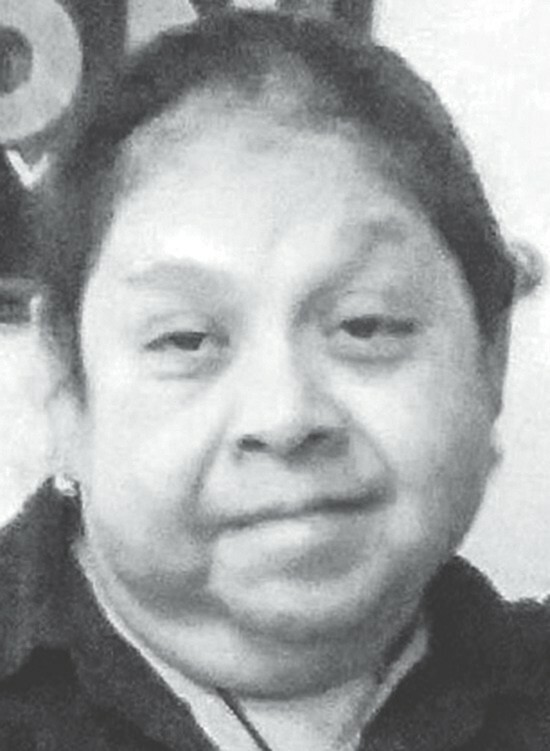 Rosario “Rosie” Resendez passed away Monday, March 18, 2019 in San Antonio. She was born December 29, 1961 to Edwardo and Maria Elena (Perez) Resendez in Banquette. She is preceded in death by her parents, and sisters Mary Isabel Resendez Gutierrez and infant sister Susanna Resendez. Rosario is survived by her brother Richard Resendez and wife Susanna and sister Velia Ottinger and husband Edward, along with numerous nieces, nephews, great nieces and great nephews. A visitation will be Friday, March 22 from 2-9 p.m. with a rosary to be recited at 7 p.m. at the Hurley Funeral Home in Pleasanton. A funeral Mass will be celebrated Saturday, March 23 at 10 a.m. at the Hurley Funeral Home Chapel in Pleasanton. Interment to follow the services at St. Andrew’s Catholic Cemetery #2.